Print the template onto plain paper and cut out. On a piece of cardstock, draw and cut out a 5-1/2x12-inch rectangle. Fold accordion-style along the short side (as indicated by the dotted lines). You should have six sections. 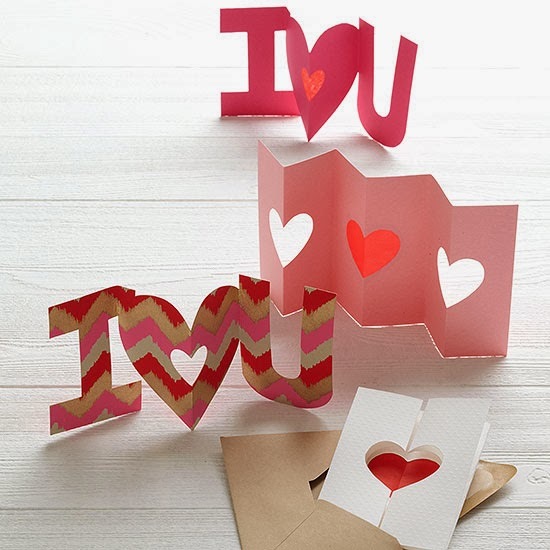 Place the template on the folded paper with the open side of the heart over the top fold. Trace heart and cut out. On contrasting paper, trace a heart that's slightly larger all around. Glue to the back of the center heart on your accordion. Decorated candles like these can be expensive. 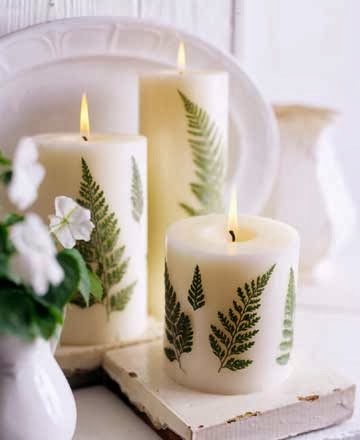 Save money by making your own using plain candles and fern leaves. You can even use extra candles you have around the house. The leaves will make any group of candles look like a matching set. Surround yourself with symbols of love this Valentine's Day. From pretty flower arrangements to romantic candle displays, our heartfelt homemade Valentine's Day decorations will help create an affectionate atmosphere for your loved ones. Spice up your space in the spirit of Valentine's Day using inspiration from these real-life holiday mantels. Learn how to display a dozen roses, and try one of our flower arrangement ideas for setting a romantic mood. 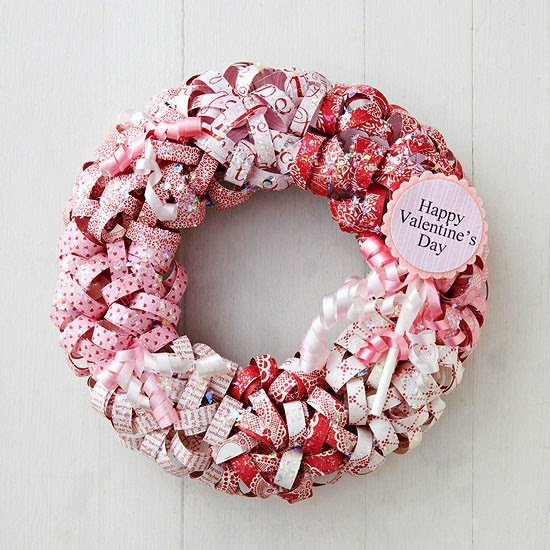 Express your affection and decorate your home with one of our darling handmade Valentine's Day decorations featuring shades of red and pink and of course plenty of hearts. These fun and easy projects include lovely votive candle sleeves and modern Valentine's Day artwork. To pull together the perfect holiday celebration, use our guide to Valentine's Day party decorations. Have a little crafting time? Set the table for love with Valentine's Day place mats, and learn how to arrange romantic candle displays. Lastly, fall in love with one of our adorable and free Valentine's Day wallpapers to decorate your computer just in time for February 14.